In July 2008 Tirimo performed in China for the first time, with concerts in Kuangzhou (Canton). He also worked with talented young Chinese pianists. Two discs of Mozart Concertos, with Tirimo directing the Prague Chamber Orchestra from the keyboard, were released by Regis in 2008. All four Concertos were recorded in live performances at concerts at the Athens Megaron. The release of the Rosamunde Trio's recording of the Tchaikovsky and Shostakovich Trios on the Alto label has recently been followed with a recording of the Dvorak Trios. The trio (www.rosamundetrio.com) made their long-awaited debut at the Wigmore Hall on Sunday 11th March 2007 in a programme which included Dvorak's Piano Trio in F minor, Beethoven's 'Archduke' and the first performance of a new work especially written for them by Peter Fribbins, 'Softly in the dusk...' , which was inspired by a poem of D.H.Lawrence. The work was recently recorded for release in 2012, and can also be heard on YouTube. This series comprised 8 concerts throughout 2006 and commenced on 26 January 2006, the eve of Wolfgang Amadeus Mozart's 250th birthday. 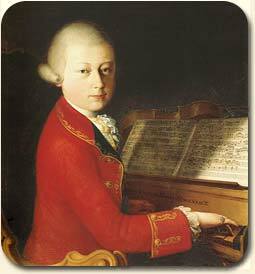 It was devoted to his entire solo piano works from the age of five until his 35th and final year. It is believed that such a complete series has never been presented before. Throughout this 30-year span, Mozart wrote almost incessantly for an instrument that he not only loved dearly but was also a supreme master of. He composed no less than 17 Sonatas and 17 sets of Variations as well as Fantasies, Rondos, Minuets and numerous other pieces, some of which are among the most popular of all piano works whilst others are little known and a few may even have not been performed at all. Of particular interest is "Das Londoner Notenbuch", known also as the "London Chelsea Notebook", consisting of 39 pieces composed by the 8-year-old boy genius at 'moments of boredom' during his stay in Ebury Street, Chelsea. Thus it is particularly appropriate that this celebration of, and tribute to, one of the greatest and most loved of composers should take place at Cadogan Hall.